For 25 years, Sykes Cottages in the UK have been offering fabulous cottage holidays at reasonable prices. Their collection has now grown to over 9000, with each property offering luxurious self- catering accommodation to choose from whether it’s a short break away for two nights, or a two week holiday. Split into four easy-to-navigate sections, you can make your selection on their website from their Featured Cottages, Luxury Properties, Pet-Friendly Cottages and Coastal Cottages. Each cottage also comes with a list of impartial reviews published by guests who have stayed there, providing honest, unbiased opinions on each luxury stay. 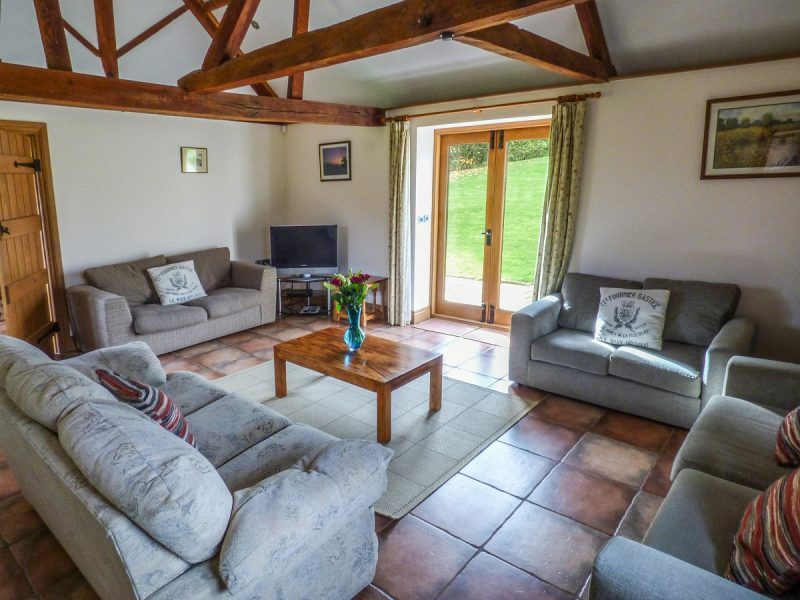 With a family holiday looming for seven of us, with ages ranging from 23 up to 60 (plus two working cocker spaniels), we were keen to book up for the highly rated Beesoni Lodge. 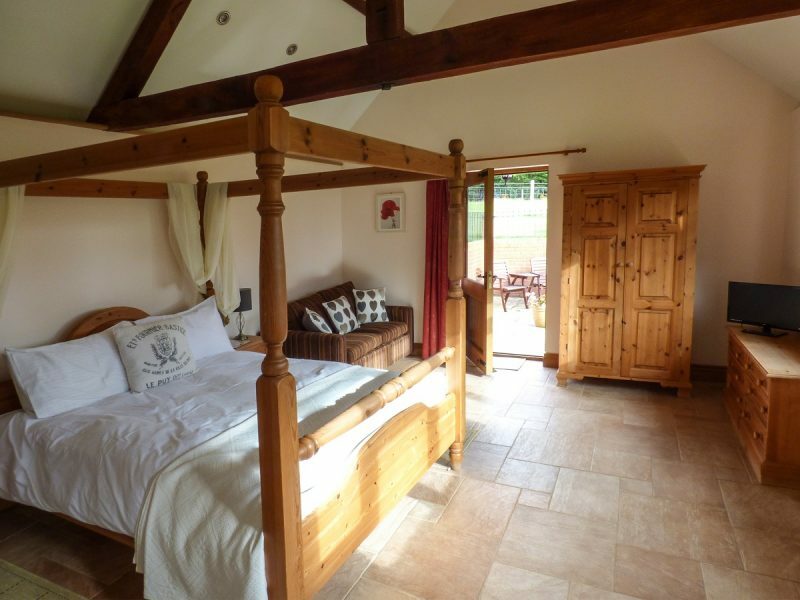 Located in Worcestershire with both the Cotswolds and Malvern Hills right on the doorstep, the cottage sleeps up to 11 with four bedrooms and three bathrooms in a converted barn bursting with old style character and charm, whilst offering all the mod-cons that you’d want. Rolling up to the spacious driveway, our three cars (having travelled in convoy), could be parked up with ease. Transport is most definitely a necessity when staying at the lodge though, because the nearest shop is in the village three miles away, requiring you to be prepared – we stocked up on plenty of bubbles and bags of shopping en route to make sure we had everything we needed for our week away! The outdoor space is quite incredible and our dogs were in their element with a free run of the property. To the front of the cottage, a gigantic lawn – perfect for playing croquet, while at the back of the barn, we discovered a barbecue area with picnic style benches and a huge garden – perfect for playing rounders, drinking wine in the sunshine and doing our daily 20 minute Joe Wickes cardio sessions! 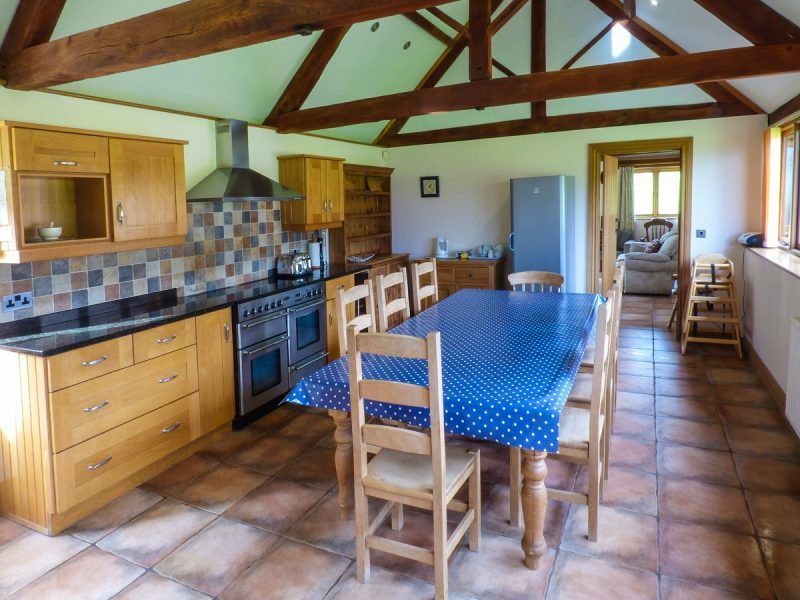 With a beautifully sociable kitchen area and massive dining table in the centre, Beesoni Lodge was perfect for our evening gatherings, with plenty of family popping in from the surrounding area to eat dinner with us. There was also masses of space for them to stay, with the cottage boasting a super king sized double room, king size four poster double bedroom, a family room with one double and a single, and a further bedroom with two single beds. Maintaining all that authentic old charm that you’d expect from a big cottage, we were also happy to discover underwater heating in the bathrooms, a spa bath in the main bathroom and double shower in the en-suite bedroom. There’s also wifi if you’re craving contact with the outside world and flat screen TV’s in the sitting room and bigger bedrooms! We also scored for some amazing weather while we were visiting, so we were able to spend plenty of time outdoors cooking up barbecue feasts and playing family games (croquet and cricket sets can be found in the big wooden kitchen box). After a huge cooked breakfast, we’d plan a drive out to the local villages, hotels and pubs, taking in plenty of scenery with our dog walks along the way, whiling away the afternoons with well deserved coffee and cakes in the many charming coffee shops dotted around. With plenty of pubs in the local area, we loved the Robin Hood pub which had a good walk and lake area nearby, but our favourite was The Swan Inn a short drive away, which had a great outside area, and a dog friendly modern restaurant offering up hearty, delicious food – we’d recommend the fish and chips! Tewkesbury was also lovely for an afternoon out, while the blues festival which was taking place in the local village of Castlemorton gave things an extra edge on the weekend we were there. Always keen to take my holidays abroad, Sykes Cottages and Beesoni Lodge have most definitely changed that view – there really isn’t anything better than big long walks in the rolling English countryside working up an appetite for a hearty British feast! For cottages in both UK and Ireland and a host of special offers at certain times of the year, you should book up your break now!